When words fail, rhetoric turns to the rest of the body, beyond vocal chords and orthographic markings—when the voice cannot persuade an end to oppression, in the absence of learned helplessness and apathy, the body calls out in whatever way it can to end its suffering. It strives against the oppressor and, in some cases, turns on itself. In such cases, depending on the presence and perspectives of its witnesses, death becomes a rhetorical act and a rhetorical end. As Burke himself notes in A Rhetoric of Motives, "The depicting of a thing's end may be a dramatic way of identifying its essence" (17). The "may be" in this quote is important—particularly when we try to understand suicide. Anyone who has lost a loved one to suicide knows how harrowing an attempt to reconstruct that story can be, and how a context and a story can either heal or haunt. While death is in most cases a private event, it has many public faces. The visage of death almost always prompts visceral responses and, sometimes, it prompts political action. From the viral 2015 photograph of Alan Kurdi, a three-year-old Syrian refugee who drowned on the journey to safety on the banks of the Mediterranean Sea, to the contested media-circulation of the images of Sadaam Hussein's executed sons in 2003, the images of death carry potent rhetorical material. Those images, however, are the aftermath of death, not "dying" in action—In Tibet on Fire: Buddhism, Protest, and the Rhetoric of Self-Immolation, John Whalen-Bridge seeks to understand the images and stories of self-immolation as a performance on a public stage. When I first approached this text, I was concerned it would be a distancing, academic analysis of deep pain, but as I progressed through the pages, Whalen-Bridge offered not only an academic lens but the heart, empathy, and deep engagement with the Tibetan diaspora necessary to fully process this acute manifestation of human suffering. 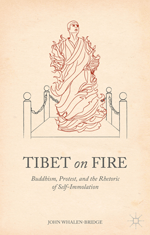 In Tibet on Fire, Whalen-Bridge situates self-immolation in Tibetan monastic communities and seeks to understand its causes and effects through the lens of Burkean rhetoric. Of the many ways a person can take their own life, fire is perhaps most dramatic and has specific historical and sociocultural meaning in Tibet and its neighboring nations. A fire puja cleanses, a butter lamp illuminates a spiritual path, and 1,000 flames celebrate the legacy of Je Tsongkhapa, the founder of the Gelug lineage (the Dalai Lama's own sect). Fire has many symbolic purposes in Tibetan Buddhism, which Whalen-Bridge is quick to note should not be lost on a reader when it comes to the subtle messages the act of self-immolation delivers to Tibetans. With the dual purpose of spiritual meaning and community protest, self-immolation also violently shines light on China's long-standing oppression of Tibetan people, from cultural genocide (moving Han Chinese residents into the Tibetan Autonomous Region) to political gaslighting (kidnapping a Panchen Lama and putting a decoy in the child's place). Like most refugees, displaced and exiled people, Tibetans have experienced a shared loss of home, comfort, and meaning. Whalen-Bridge, without losing sight of the seriousness of his object of analysis, honors those lost lives by trying his best to understand the message of self-immolation—to situate it in context and to elucidate the complexity of each individual case. In the simplest and most brutal sense, setting oneself on fire is an action that cannot be reneged, cannot be reversed, and, destroys all evidence of the act and the agent. In both symbolic and material senses, the act leaves an indelible mark on the earth, a tangible absence, but is a fleeting, cancelling event. Whalen-Bridge argues that the act is also a dramatic one, in Burkean terms, in the sense that it relies on the responses of a global public to give it meaning. According to Whalen-Bridge, drama makes an event newsworthy, and lack of coverage is ultimately a form of censorship. He gears this book toward an audience who may not be familiar with rhetorical terms—in doing so, he spends a great deal of space explaining concepts that may be relatively elementary to a rhetorician. The effect is that it is at times unclear who the audience for this book may be: academic or public. This may be a product of the fact that the "[a]udience for self-immolation is up for grabs" (6). So, too, are the motivations behind acts of self-immolation. For Whalen-Bridge, dramatism is a way to "forestall premature conclusions about motivation" (15). This is an apt message because we could easily get lost in "drama" and forget "reality." Yet, here dramaturgy offers the reader a gap, a way to take a step back to get a clearer perspective on a confusing, terrifying, and emotionally jarring event. To achieve this critical distance, Whalen-Bridge's analysis of self-immolation progresses in four main parts, the first two translational and the second two meditations on rhetorical impact: 1) a translation of key terms; 2) translation of cultural meaning; 3) analysis of the impact on the internal community;, and 4) analysis of the impact on the global stage. From a rhetorical perspective, this piece adds new dimension to Burke in two key ways: it examines the fine line between the dramatic and the real; and it frames performance not as fantasy or whimsy, which is incredibly important when covering such a sensitive topic. Tibet on Fire first approaches the question of how we define the word immolation and whether the English term translates well from the Tibetan. Whalen-Bridge argues that in English the term connotes "sacrifice" and "martyrdom"­—in a sense this translation is both deficient and ebullient. He offers a unique interdisciplinary perspective here, interweaving a Burkean rhetorical analysis of political context and text with a Tibetan Buddhist phenomenological perspective to understand religious and political motivations and how these are witnessed translated, understood, and reiterated across a broad, global audience. He charts the ebbs and flows of the internal culture, religious, cohesive narratives of Tibet in Exile and the extreme tidal impact of the CTA and Western Liberal values. As such, he joins an interdisciplinary conversation that is already well underway about Tibet in the "West", including arguments form religious studies scholar Donald Lopez (2008), historian David McMahan (2008), and cultural anthropologist Michael Lempert (2012), among others. Whalen-Bridge asks more important fundamental questions that undergird self-immolation in the name of "Tibet": What is Tibet? Where is Tibet? Who is Tibet? Prior to 1957, we may have had a clearer sense of what the answers to those questions might be, but in 2017, there are few clear answers that link ethnicity, geography, and culture. And in the final chapters, he asks what will happen not just in the next 5 to 10 years while the Dalai Lama presumably still reigns in the hearts and households of the Tibetan diaspora, but the next 50 years. What will happen when the Dalai Lama passes, when battles of reincarnation ensue, what obstacles the Karmapa will face when taking over political power? Two things are useful about Burke in this context. First, Tibet on Fire employs Burke's theories of dramatism and rhetoric to foster awareness that the global stage has great bearing on the meaning of an act of self-immolation. The post-colonial relationship between Tibet and China plays out on that global stage, and a Western-liberal audience becomes exceedingly important for both to leverage power, but particularly for Tibet to foster alliances and solid identifications. Second, Burke offers a framework for analyzing "motive" and a fundamental fascination with the "ends" of rhetoric, which is key to parsing out whether or not death, per Burke's flourishing language around mortality and immortality, transcends the individual lifespan and uses the thrust of rhetoric to achieve immortal aims. Or, conversely, whether self-immolation is merely symbolic of tragedy and very real pain and heartbreak. To be clear, I am inclined to see it as the latter, but Whalen-Bridge's analysis aptly balances on the edge of this tension. While the complexity of the issue means that there are few answers at the end of this book, its focus on "emanation" at the very end makes me look forward to a longer, extended conversation. Borrowed from the idea that the Dalai Lama is not merely the Dalai Lama in human form, but also Avalokiteshvara (or Chenrezig in Tibetan), the thousand-armed deity of compassion. Add to that Tenzin Gyatso, the man himself, an idea distinct from his role as Dalai Lama, and you have three people occupying the same space, filling the same vessel. An extension of this idea is that, perhaps, opposites can coexist, that we can be this and that, here and there, simultaneously. The idea is particularly compelling in the face of widespread global change, displacement, and strife. In applying Burke, it would have been a beautiful addition to look at some of the teleological perspectives that inform Burke's theory, since those are quite different from the iconography and teleologies that inform Tibetan Buddhism. An element that could add to this analysis would be to examine whether Burke's overview of consubstantiation would be at all relevant to emanation—it would have been a natural fit to reference consubstantiation, but "emanation" offers a stronger, more optimistic and more Buddhist framework for dealing with cognitive dissonance. Burke, writing for a monotheistic perspective, may not entirely fit the underlying epistemologies feeding into Tibetan Buddhist iconography—the multi-deity (tantra) and otherwise nontheistic worldview. Moreover, sacrifice, interpreted by and through these two epistemologies, holds very different meanings. It is also noteworthy that whether an act of self-immolation is powerful or futile relies on the response of global institutions, academic institutions notwithstanding. Western academic institutions are often the tangible grounds on which global forces fight on behalf of Tibet (such as in dialogues between Buddhism and Science hashed out via the Mind and Life Institute, Robert Thurman's vocal activism, or the intensely positive media coverage of Richard Davidson's study of Tibetan monks' pre-frontal cortex activity) and China (such as a growing base of Confucius Institutes in the U.S.). Whalen-Bridge argues that the constraints and cognitive dissonances that global audiences see when Buddhists get angry—that "monks and mobs" (19) do not fit together, that Tibetans demonstrate "political weakness and perceived moral superiority," that systems of karma and expressions of anger are at odds—have given rise to a "engaged Buddhism" (36). He asserts that this is how Buddhism will preserve itself in the near future—through direct, compassionate political action. Buddhism is often reframed as "this, not that": open, not dogmatic; skeptical, not new-age-y; a philosophy, not a religion. As I've argued in my own research, the floating, contested definition of Buddhism (religion, philosophy, or fill-the-blank), makes it both easy to defend and culturally vulnerable. What Buddhism is in some ways is "up for grabs," in the same way the audience for self-immolation is. Whalen-Bridge asks essential questions in this book that, in my estimation, make this important reading for public audiences. The preface and concluding remarks of the book show an author who is not just invested in his own academic analysis but in the humane and humanistic ramifications of that work. On the whole, this book is a strong contribution to the field of Buddhist studies and, one heartily hopes, to the Tibetan community and those who wish to protect it. Moreover, with the rise of new nationalistic movements, it is increasingly salient that we reflect on the many ways that oppressed people have fought to preserve their identities, their cultures, and their human rights in changing global contexts, as precious, fragile, mortal bodies call out for ever more powerful rhetorical ends. Burke, K. A Rhetoric of Motives. 1950. Berkeley: The University of California Press, 1969. Lempert M. Discipline and Debate: The Language of Violence in a Tibetan Buddhist Monastery. University of California Press, 2012. 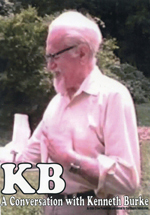 Lopez, Donald S. Buddhism and Science. Chicago: The University of Chicago Press, 2008. Lopez, D The Scientific Buddha, CT: Yale University Press, 2012. McMahan, D. The Making of Buddhist Modernism. Oxford: Oxford University Press, 2008.